California State University, Long Beach, College of Education, 1250 Bellflower Blvd. Long Beach, CA 90840-2201, United States. This article reviews the extant research literature on loneliness and peer victimization for children and youth, and explores the complex relationship between these two constructs. While lonely students who have few friends and receive limited peer support are vulnerable to being victimized by their peers, loneliness also emerges as a salient outcome of persistent and chronic peer victimization. 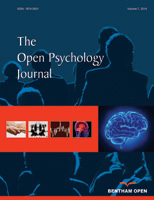 The author discusses the phenomenon and incidence of bullying, the predictors of bullying and loneliness in children and youth, and reviews the literature associated with peer victimization in children and youth with disabilities, a population that is particularly vulnerable to being both the perpetrator and victim of bullying. The article concludes with a review of school-based intervention approaches to alleviate bullying in children and youth.